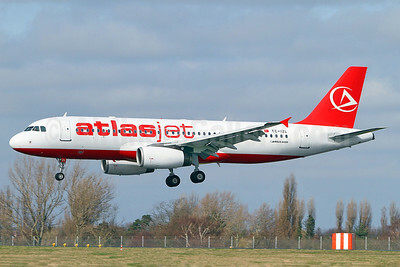 (formerly Atlasjet International Airlines) (KK/KKK) (Istanbul) 2001 - 2015 (became AtlasGlobal Airlines). Photos. Framable Color Prints and Posters. Digital Sharp Images. Aviation Gifts. Slide Shows. 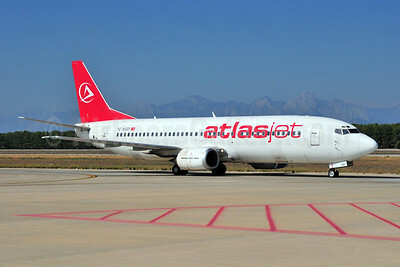 Atlasjet Airlines (Saga Airlines) Boeing 737-48E TC-SGD (msn 25773) AYT (Ton Jochems). Image: 906418. 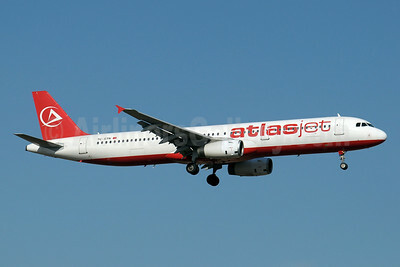 Atlasjet Airlines Airbus A319-112 TC-ATD (msn 1124) (Royal Falcon colors) AYT (Ton Jochems). Image: 913700. 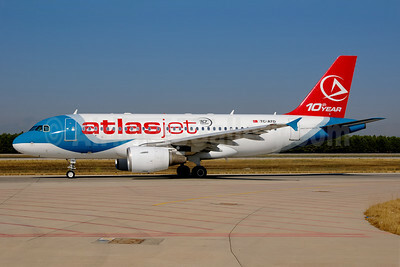 Atlasjet Airlines Airbus A319-112 TC-ATD (msn 1124) (Royal Falcon colors-10th Year) AYT (Ton Jochems). Image: 907246. 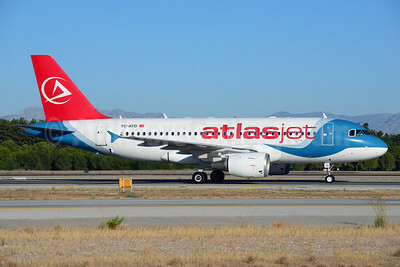 Atlasjet Airlines Airbus A319-132 D-AVXO (msn 2739) XFW (Gerd Beilfuss). Image: 906413. 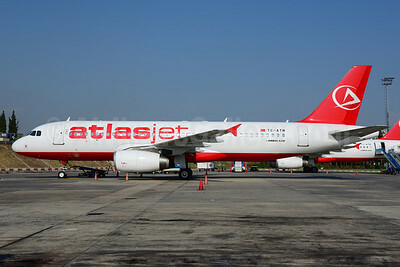 Atlasjet Airlines Airbus A320-232 TC-ATM (msn 2753) IST (Ton Jochems). Image: 913706. 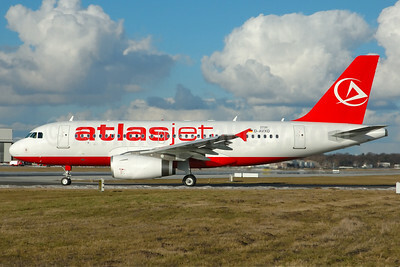 Atlasjet Airlines Airbus A320-232 TC-OGI (msn 640) (credit card) ARN (Stefan Sjogren). Image: 906417. 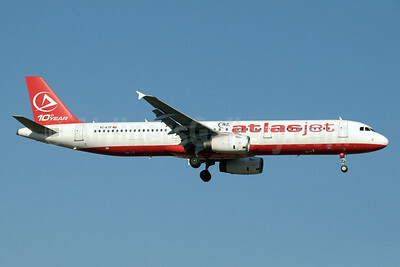 Atlasjet Airlines Airbus A320-232 TC-OGI (msn 640) AYT (Ton Jochems). Image: 903671. 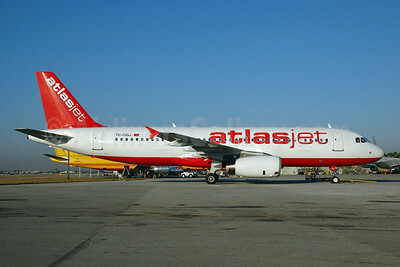 Atlasjet Airlines Airbus A320-232 TC-OGJ (msn 676) MIA (Bruce Drum). Image: 100531. 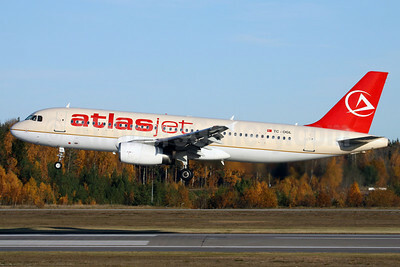 Atlasjet Airlines Airbus A320-232 TC-OGL (msn 461) (Saudi Arabian colors) ARN (Stefan Sjogren). Image: 901367. Atlasjet Airlines Airbus A320-233 TC-ATT (msn 1624) AYT (Ton Jochems). Image: 924548. 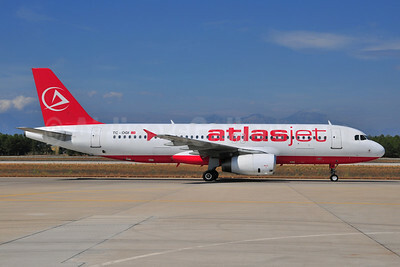 Atlasjet Airlines Airbus A320-233 TC-IZL (msn 1730) SEN (Keith Burton). Image: 913707. 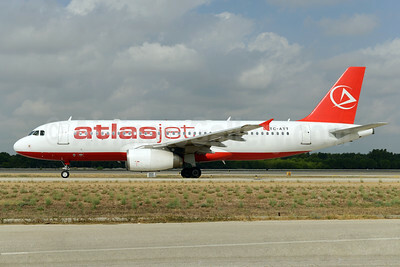 Atlasjet Airlines Airbus A321-131 TC-ETM (msn 604) (10th Year) AYT (Paul Denton). Image: 913701. 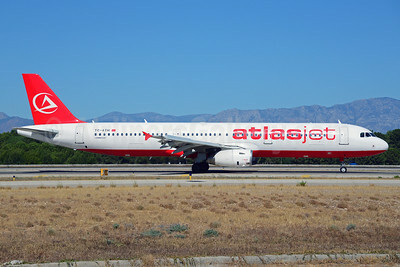 Atlasjet Airlines Airbus A321-131 TC-ETN (msn 614) AYT (Paul Denton). Image: 913702. 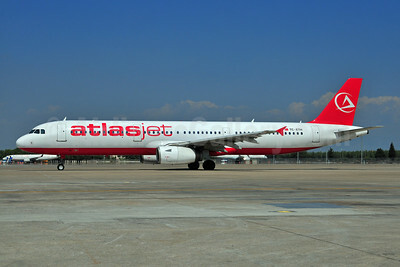 Atlasjet Airlines Airbus A321-131 TC-TUC (msn 614) AYT (Ole Simon). Image: 903358. 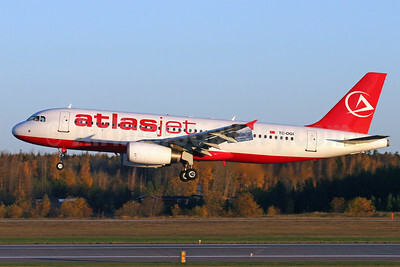 Atlasjet Airlines Airbus A321-211 TC-ATB (msn 1503) AYT (Ton Jochems). Image: 913703. 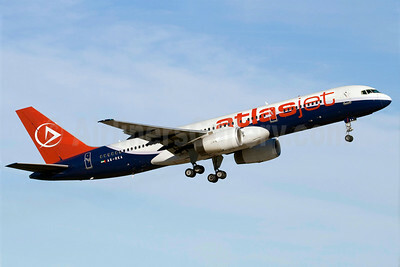 Atlasjet Airlines Airbus A321-231 TC-ATH (msn 1953) AYT (Ton Jochems). Image: 913704. 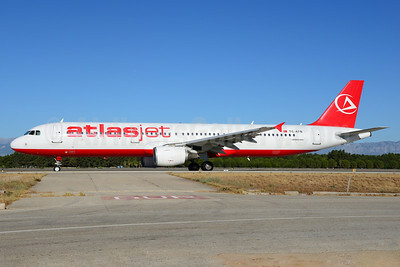 Atlasjet Airlines Airbus A321-231 TC-ETF (msn 1438) 910th Year). AYT (Paul Denton). Image: 913705. 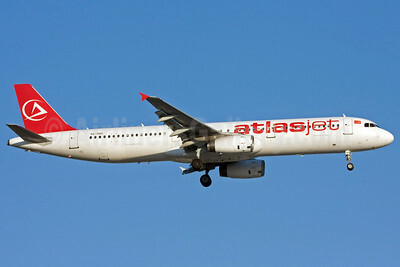 Atlasjet Airlines Airbus A321-231 TC-ETH (msn 968) AYT (Ton Jochems). Image: 903672. 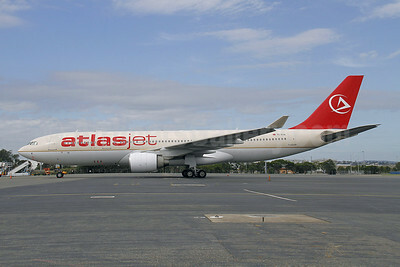 Atlasjet Airlines Airbus A330-223 TC-ETK (msn 358) (Saudi Arabian fuselage) BNE (Peter Gates). Image: 907384. 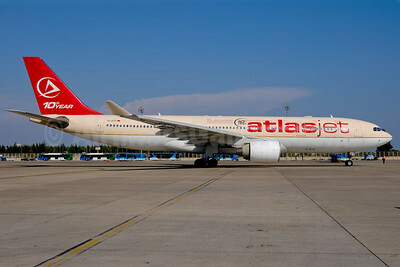 Atlasjet Airlines Airbus A330-223 TC-ETP (msn 343) (Saudi Arabian fuselage) AYT (Ton Jochems). Image: 907232. 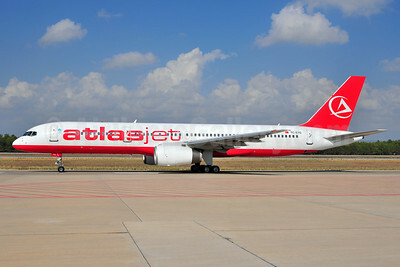 Atlasjet Airlines Boeing 757-2Q8 TC-ETE (msn 30044) MAN (Nik French). Image: 906416. Atlasjet Airlines Boeing 757-28A OH-AFK (msn 25622) (partial Air Finland colors) ARN (Stefan Sjogren). Image: 906415. 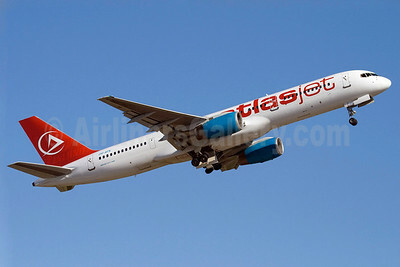 Atlasjet Airlines Boeing 757-256 A6-RKA (msn 29311) (RAK Airways colors) ARN (Stefan Sjogren). Image: 906414. 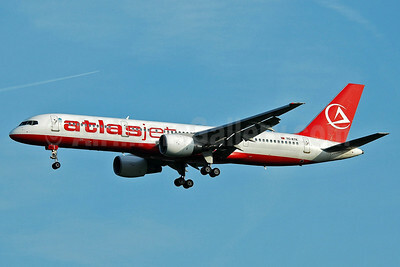 Atlasjet Airlines Boeing 757-256 TC-ETG (msn 26254) AYT (Ton Jochems). Image: 905438.